How To Create a Crown Logo? A crown as a symbol of supreme power has evolved from less sophisticated royal items, such as a wreath, tiara, and gold bar. Placing a crown on your corporate logo is a straightforward way to say that you’re a serious market player that must be reckoned with. The owner of a crown is a confident leader that strives for dominance. Nowadays, diadem is used by both established brands and no-name businesses determined to work hard for success. The royal theme goes well with companies specializing in expensive apparel and accessories, jewelry, and fine spirits. Despite its European roots, a diadem has conquered the hearts of Asian entrepreneurs. Take a look at the beautiful logo of Royal Brunei Airline. It’s a fine example of how a crown can be merged with oriental patterns to create a balanced composition. 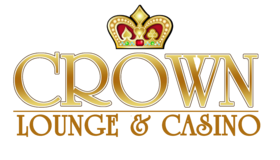 Rolex, Crown Wine Shipping, Golden Crown Hotel, and other major brands all look good with a crown! How do I create a crown logo for my brand?